Classes are ongoing! Sign up today! 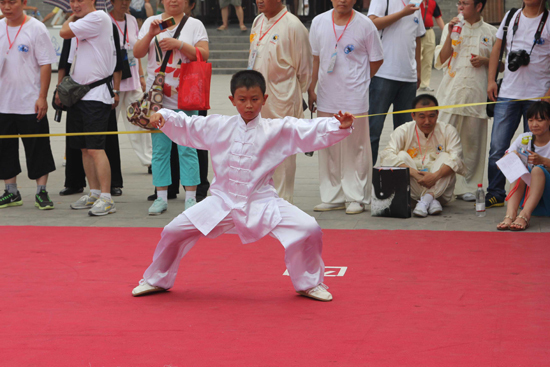 Chen Huixian has a deep knowledge of how to help children develop a strong foundation in the basic fundamentals of traditional Chinese Martial Arts that comes from her own personal experiences. Born into a famous martial arts family, she began her training at the early age of 6-years-old and has been practicing ever since. In addition to her years of experience teaching Chen Taijiquan to adults, both in the U.S. and in China, Chen Huixian is also the former Head Taijiquan Coach for the Yongtai Temple Women's Martial Arts School (永泰寺女子武校), the all-female branch of the Shaolin Monastery and the only all-female Shaolin Gongfu school in China. 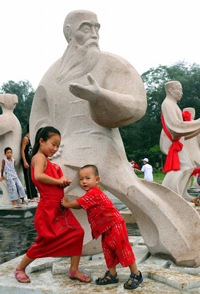 While at Yongtai Temple, Ms. Chen trained girls between the ages of 5 and 15 in Traditional Chinese Taijiquan Gongfu, Push-Hands, and Weapons forms. In the Kansas City area, Chen Huixian has taught Tai Chi and Kung Fu to children of all ages through a number of local organizations. She has been invited to teach children at the Pembroke Hill School, St. Teresa's Academy, the Confucius Institute of The University of Kansas, the Nelson-Atkins Museum, and the Foreign Language Academy, to name a few. • Build balance, coordination, flexibility, body conditioning and strength! • Develop focus, concentration, awareness, discipline and confidence! • Have fun and stay fit with Traditional Chinese Gong Fu training!